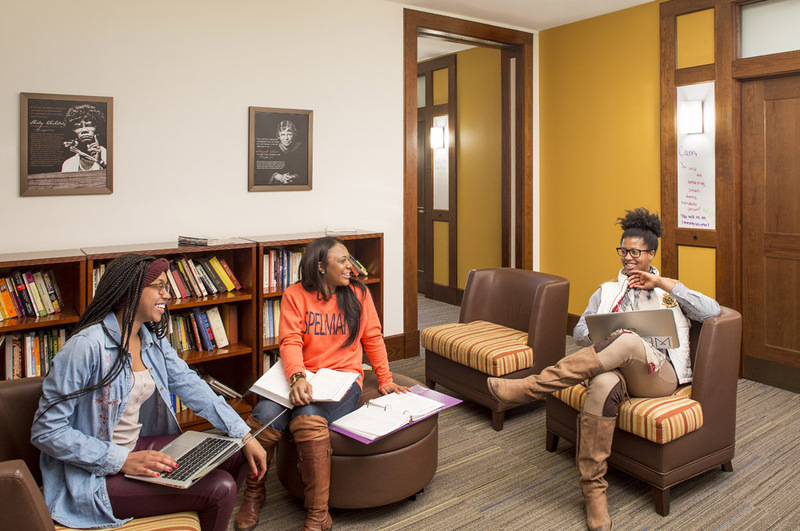 The initial concepts for the 19,800 GSF renovation of Laura Spelman Rockefeller Hall at Spelman College, a historically Black college and global leader in the education of women of African descent, start from the notion that the foundations of sustainability are embedded in a strong sense of authentic communication and community. Spelman’s sustainability initiative echoes these values in promoting personal change as a catalyst for positive social change. 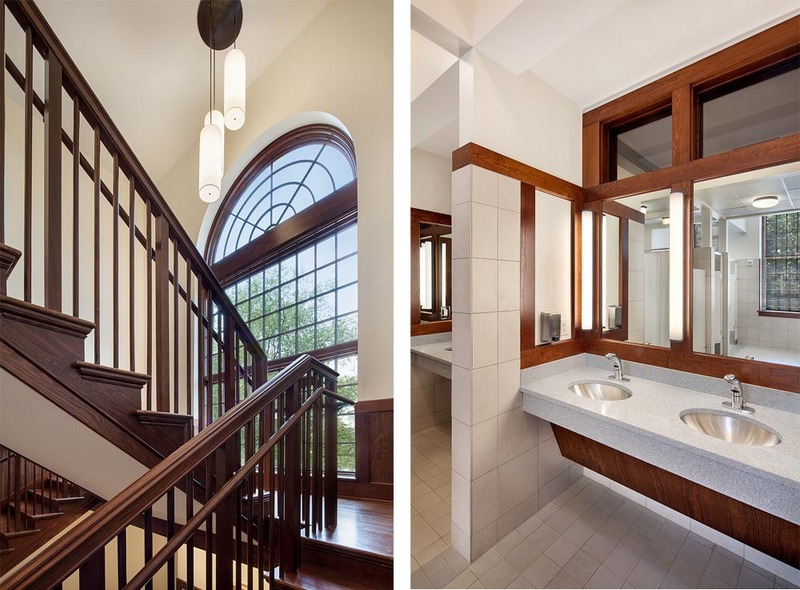 These core ideas are embedded throughout the design both metaphorically and functionally, bringing the building LEED Gold Certification, only seven points shy of Platinum, while simultaneously restoring the historic values of Architects Hentz, Reid, and Adler’s original 1918 design. 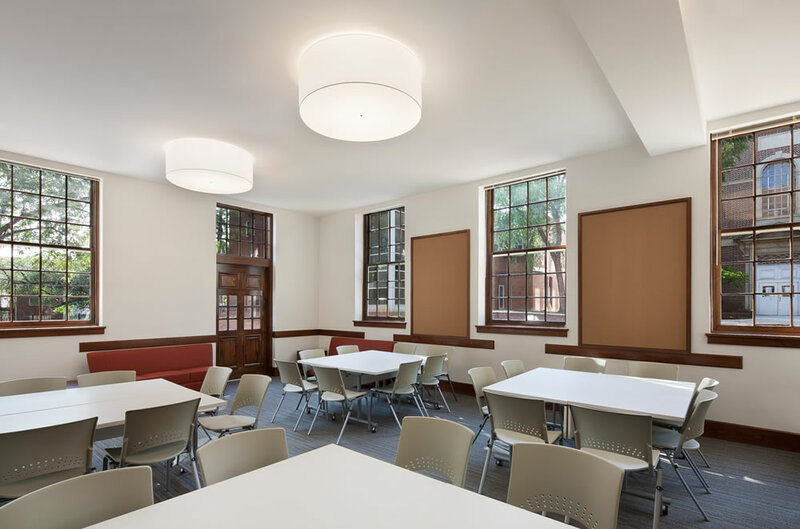 While the program includes amenities that meet the demands of the digital age, the design provides creative opportunities for communication as well as places for face-to-face, meaningful social and academic interaction. The school’s history and vision for the future play important roles throughout the building both graphically and formally. The Ground Floor accommodates campus wide student study, lounge, and computer lab/rehearsal spaces. 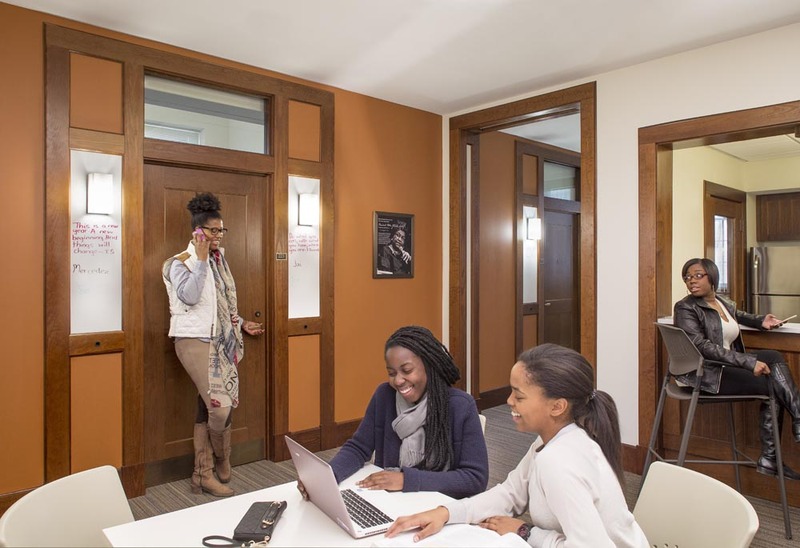 Upon entry, the ground floor corridor proudly displays a timeline collage of Spelman College’s historical events including prominent historical female figures in Social Justice and Advocacy. 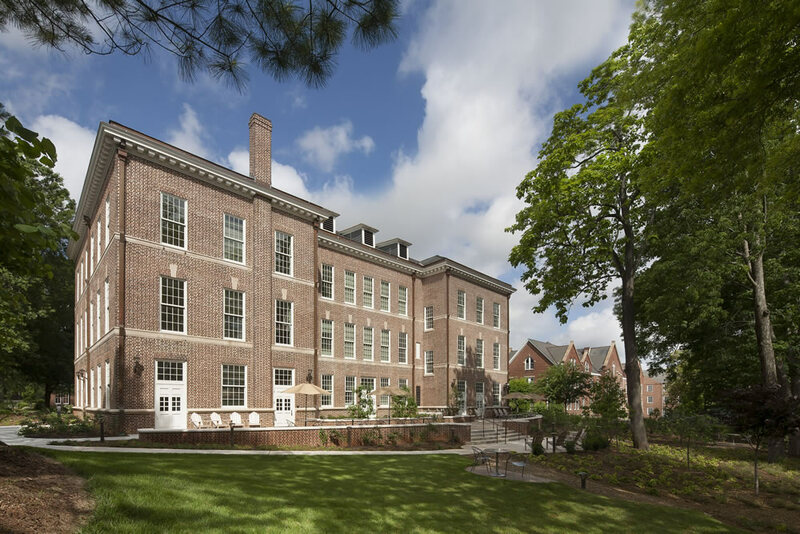 The upper two floors serve as home for the Social Justice Program, a residence hall for The Social Justice Fellows who gain admission to this residence hall through a rigorous application process including an essay, and upperclassmen who gain access by lottery. Flanking the entry of each residence is a pair of lighted, magnetic white boards giving an analog form of self-expression as a counterpoint to digital social avenues such as Facebook and Twitter. 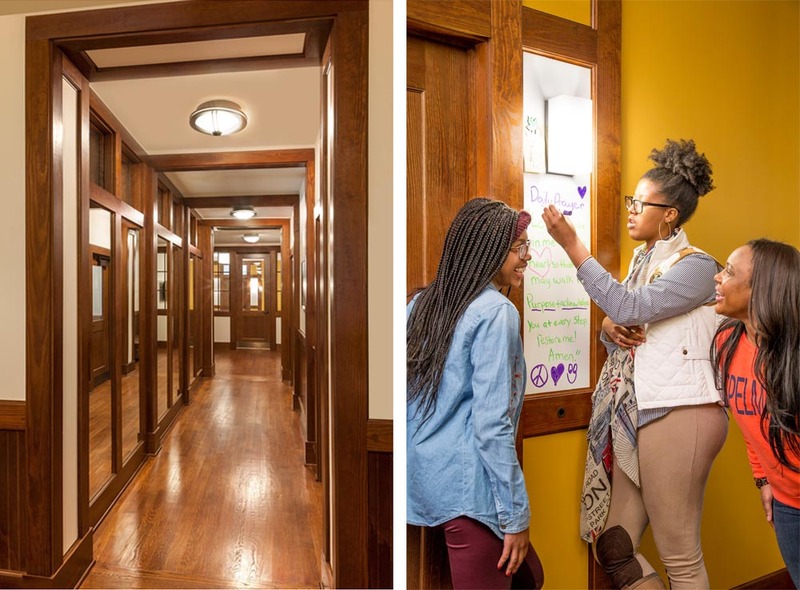 At the request of the president, the upper floors’ hall of mirrors provide the metaphorical opportunity for self-reflection and consideration of the individual’s role in their community and how she represents Spelman College beyond the campus confines. 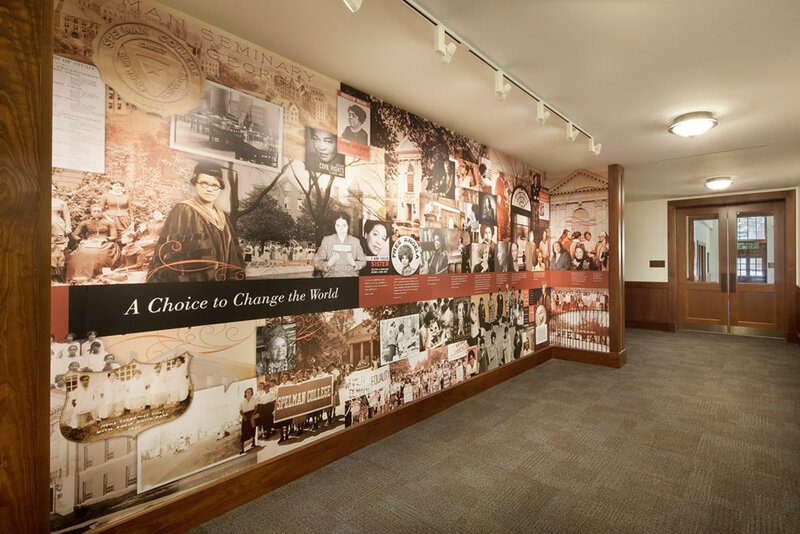 Images of Inspiring Women Advocates for Social Justice along with the building’s LEED educational plaques are integrated throughout as a nod to past, present, and future. Outstanding sustainable accomplishments include underground rainwater storage cistern for irrigation, 40% less water use than buildings of a similar size, 95% reuse of the existing building’s structure, and brownfield redevelopment through site and building abatement of hazardous materials. 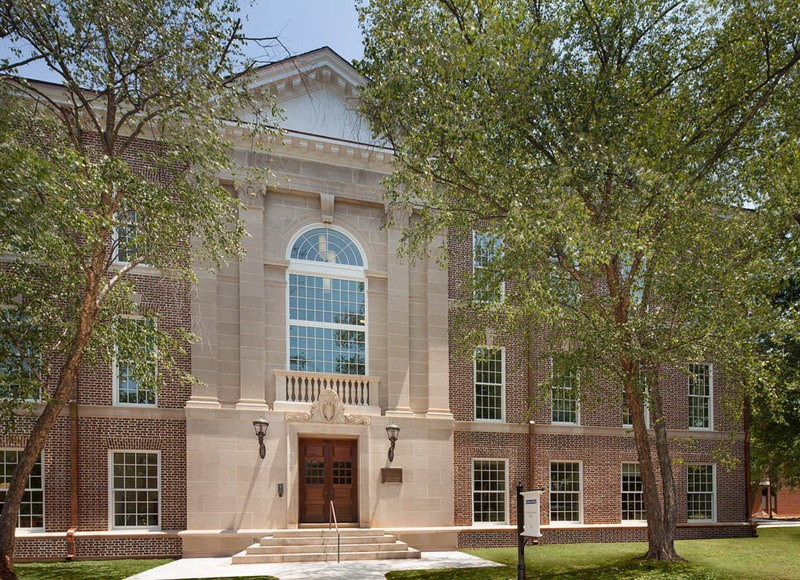 In the Fall of 2012 we hired Tony Menefee of Menefee Architecture to complete a fourth major project on our campus. As you can tell by us hiring him repeatedly we really enjoy working with him and the end product. The renovations of Packard Hall 1887 (2004) & Rockefeller Hall 1886 (2007), both won Urban Design awards from the City of Atlanta. 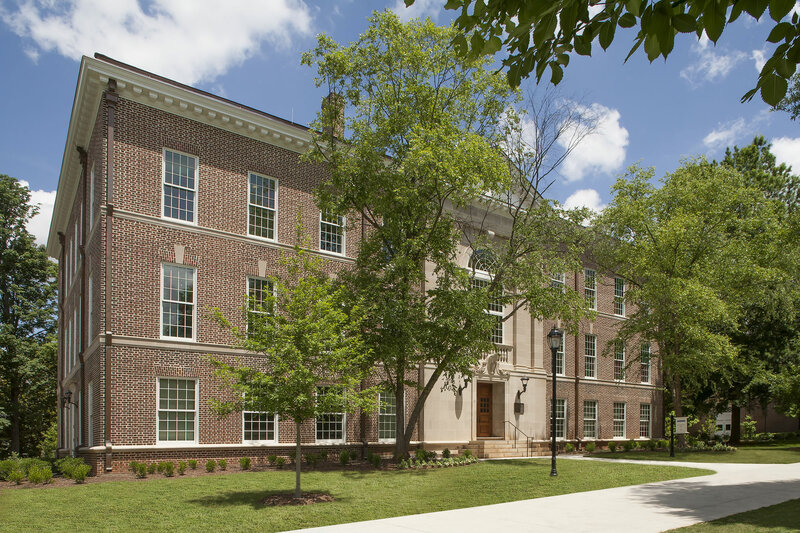 Our most recent renovation of Laura Spelman Rockefeller Hall 1918 (2012) obtained LEED Gold certification. Menefee Architecture is currently designing a new facility on our campus that will be the home of the Spelman Wellness Revolution. Tony and his firm are passionate about these types of projects and stay involved in all the details from start to finish.